How to determine which sites are right for your business. Website mistakes almost every business makes and how to fix them. Why Your Google+ Local Business Page Might be Turning Customers Away. How to stay ‘top of mind’ with prospects using content marketing. Specific strategies for using Facebook and LinkedIn for business. This book WILL be your guide for finally seeing RESULTS from your Social Media Marketing. Corey Perlman is the President of eBoot Camp, Inc., an education company that provides people with the knowledge and skills to effectively market their business on the Web. Through interactive books, seminars and workshops, Corey quickly transforms business owners, entrepreneurs and company employees into Internet marketing “propeller-heads!” Since 2005, Corey has conducted over 200 eBoot Camp workshops and seminars to public audiences as well as small and mid size companies all over the world. With a layman’s terms and learn-by-doing approach, these workshops and seminars have earned an overall exceeded expectations rating of over 90%. 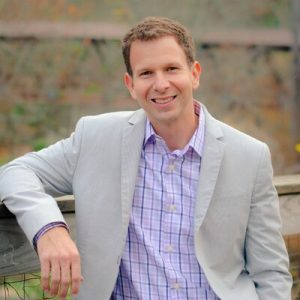 Corey’s book, eBoot Camp: Proven Internet Marketing Techniques to Grow Your Business, hit #1 on the Amazon.com bestseller’s list in the marketing, retail and ecommerce categories and is available in major bookstores throughout the world.